Two new residence halls at Bates College will be named for Elizabeth Kalperis Chu ’80 and J. Michael Chu ’80 in recognition of their $10 million commitment to the college, President Clayton Spencer announced today. “I am deeply grateful to Elizabeth and Michael for their wonderfully generous gift,” said Spencer in her remarks at the dedication of Kalperis Hall and Chu Hall on Friday afternoon. “Their gift underscores the power of the residential liberal arts model and our conviction that a Bates education, specifically and especially, is rooted in place and in the diversity of human connection,” Spencer added. The Chus, who met at Bates, emphasized that their gift to the college is a “small way to acknowledge what Bates has given to our family.” Their elder son, Christopher, is a 2012 graduate. “Bates gave both of us a remarkable education that provided the foundation for our lives and careers as well as lifelong friendships that nurture us in so many ways,” they added. 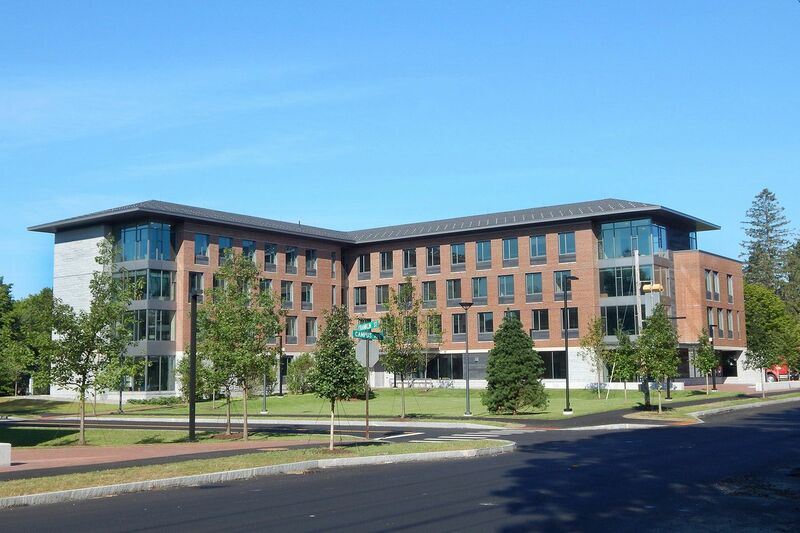 Located on Campus Avenue across from historic Chase Hall and the Edmund S. Muskie Archives, Kalperis Hall and Chu Hall — at 65 and 55 Campus Ave., respectively — opened in August as campus housing for 243 students. Each forming an L shape, the two halls face and complement each other across a new lawn. In addition, Kalperis Hall includes street-level space for the relocated and reimagined Bates College Store and Post & Print office. 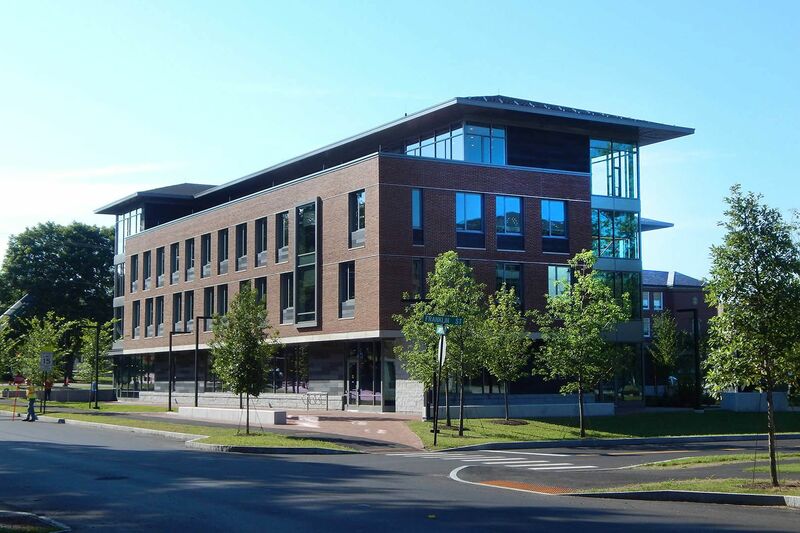 The project to build two residences, announced in December 2013, is part of an initiative to improve Bates residential offerings on a broad scale while maintaining campus enrollment at approximately 1,750 students. By embodying the concept of “vertical housing” — the integration of residential life with programs like the College Store — the buildings also establish a new, dynamic area of college life and a more defined and welcoming gateway on the south side of campus. “Kalperis Hall and Chu Hall have made real what was envisioned during the planning process: spaces that create community,” said Dean of Students and Vice President for Student Affairs Josh McIntosh. The project’s architectural vision has been realized, said Elizabeth and Michael Chu. The Chus said that the new buildings continue what they valued about residential life at the college and its diverse pantheon of buildings old and new, large and small. Today, Michael Chu is a Bates trustee emeritus who is the global co-CEO and co-founder of the private equity firm L Catterton. Elizabeth Kalperis Chu, whose career was in the securities industry, serves on a number of community and nonprofit boards.